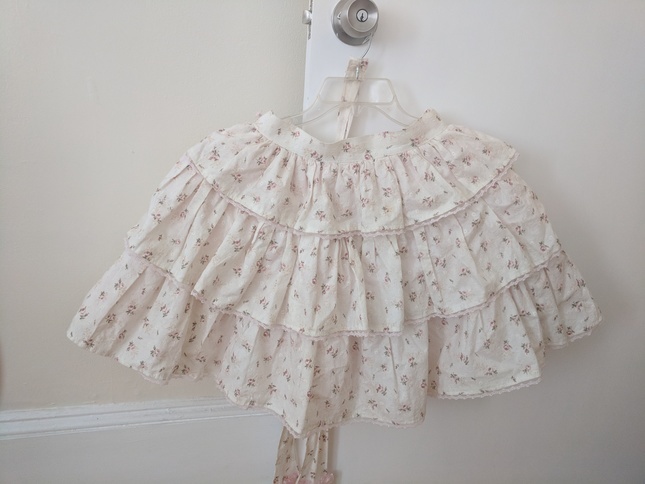 Second hand Angelic Pretty skirt. 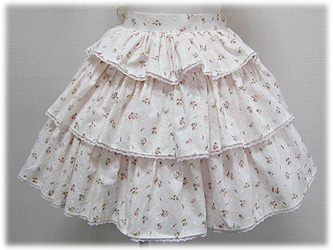 Signs of wear in terms of fabric feel, and the waist bows are missing, but still a lovely skirt for casual wear. No stains or marks, but there are loose threads etc from being worn a lot. Short casual length!